Tri-State Business Systems | Thermal Printer Label | Edison, New Brunswick, Piscataway, Rahway, Elsewhere Across New Jersey and the U.S. Thermal Printer Label Supplies for Edison, New Brunswick, Piscataway, Rahway, and Across the U.S.
For your barcode applications, a thermal printer label may be an excellent alternative to labels from a traditional thermal transfer printer. While the later requires ribbon, thermal printers use only a heat sensitive paper or other label material to create the label. While this means thermal labels are less hardy in hot environments, thermal printers require fewer materials to operate; making them perfect for smaller mobile printer designs with a heavy duty cycle. 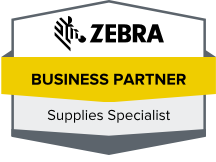 At Tri-State Business Systems, we have access to direct thermal labels from many of the top brands like Zebra or Sony, and we have professionals on staff who can craft a barcode solution for any business from Edison to El Paso. Whether you need a brand new barcode system or a single source for all your thermal printer label and barcode supplies, you can count on Tri-State’s large selection and competitive prices. We have over 20 years of experience creating label solutions for Fortune 1000 companies including Johnson & Johnson, Merck, and others, so you know we can handle even the largest orders. To request a quote or find out more about our services available for clients in Edison, Rahway, South Plainfield, Princeton, and cities across the nation, contact us today.